Our skin craves zinc, magnesium, omegas and antioxidants, and this is exactly what’s packed into seaweed. All of these amazing vitamins help the skin cells rid themselves of toxins, leaving us with glowing, luminous skin. Seaweed is unbelievably low in calories; 100g of the marine algae is around 43 calories. Per 100g there’s around 0.6g of fat and 1.7g of protein, if you’re trying to lead a healthier lifestyle then seaweed should absolutely be part of your diet. 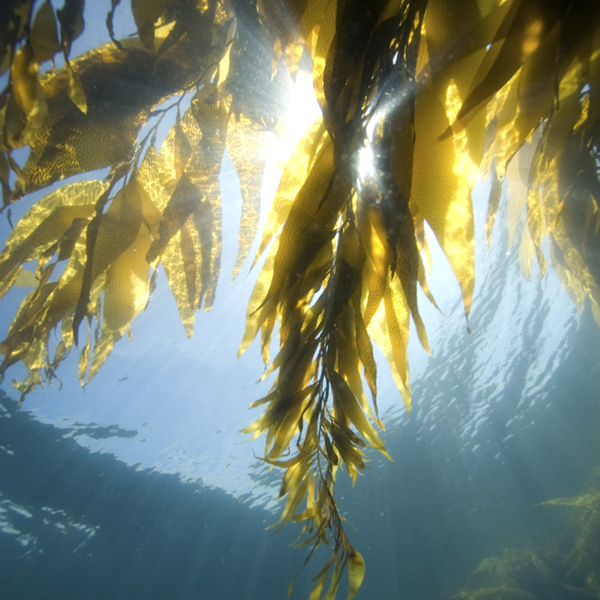 The magnesium found within seaweed flushes out excess fluid. As it’s a natural diuretic it detoxifies, which helps reduce bloating, preventing that after dinner swelling. After you’ve munched on your seaweed, it rehydrates your stomach, which makes you feel fuller for longer; resulting is no late afternoon binges – small wins! With a high concentration of iodine, seaweed helps stimulate the thyroid gland which is responsible for maintaining a healthy metabolism. Whilst at the same time the minerals act like electrolytes, helping break down the chemical bonds that seal the fat cells together. The omega-3 fatty acids can feed hair follicles, stimulating growth and preventing hair loss. Iron and zinc (a vital mineral for healthy hair, skin and nails) can also help maintain hair production by protecting the protein structure that makes up healthy hair follicles. Seaweed has been linked to an increase in libido and energy levels for both men and women. Vitamin E can assist in producing healthy sperm too. The amount of vitamin C in seaweed is unreal. It’s essential in helping protect cells and keeping them healthy, as it’s a water soluble vitamin we don’t store it in our bodies, therefore, we need a dosage of the good stuff every day. Vitamin C is also involved with the production of collagen, which helps maintain healthy connective tissues which are instrumental in supporting the structure of our tissues and organs.